Büna Coffeehouse at the corner of Webster and Georgia Avenue. 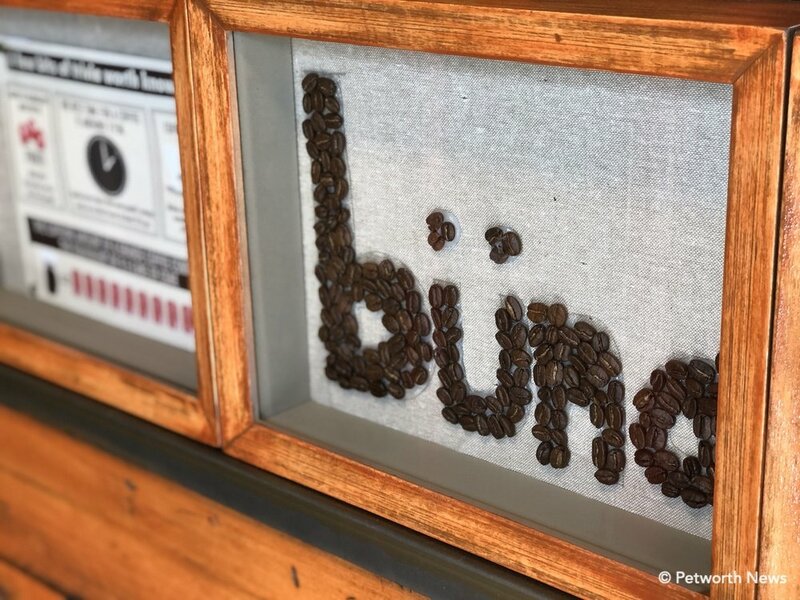 Büna Coffeehouse is opening on Friday, February 8th at the corner of Webster Street and Georgia Avenue (4400 Georgia Ave NW). 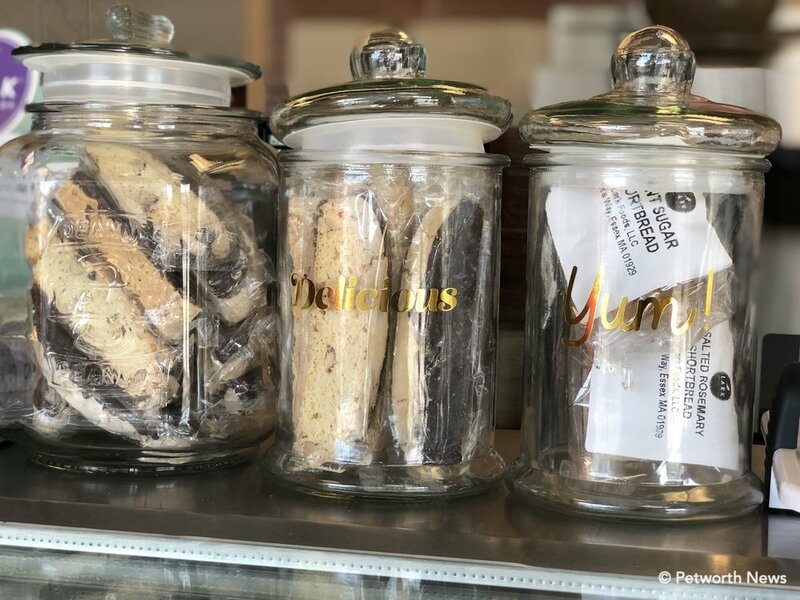 This great little shop is the brainchild of the family that owns the building, and used to run the Uneeda convenience store. Senaite Abebaw and her husband Mastewal Worku have worked in Petworth for 30 years (they met on Georgia Avenue in 1989 when both lived in the area). Senaite used to work at the Amoco gas station that was located at the corner of Georgia and New Hampshire Avenues, where the metro station now stands, while Mastewal worked at a local 7-11 and drove a taxi. They bought Uneeda from the prior owners 18 years ago, bringing their kids into the business (Philemon and Miriam). They used to also run the well-regarded Fasika, an Ethiopian restaurant up the street at 4422 Georgia Avenue. Mastewal Worku, Senaite Abebaw and Philemon Mastewal. While Miriam is 13 years old, she contributes to the family business, as does older son Philemon. Together, the family felt that the usefulness of the convenience store to the community was waning, they wanted to stay in the neighborhood and open something that Senaite describes as “Unique to the community.” According to Mastewal, the Uneeda convenience store has been open since the 1950s, passing through a few owners before they bought it. 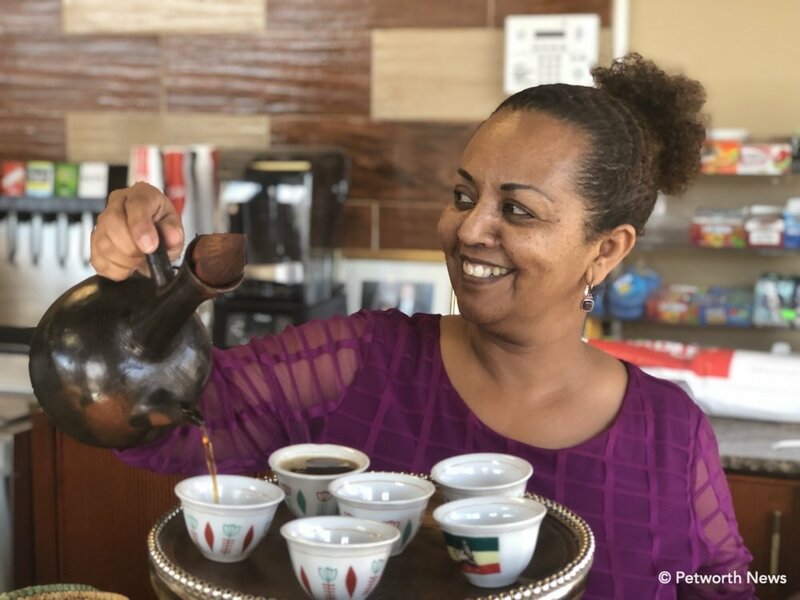 And while you’ll get the typical coffees, espressos and the like, the Ethiopian Coffee service, which Senaite brews herself with the rue herb, is definitely unique and outstanding. Senaite brewed up a tasting while we talked about their time in Petworth and their plans for the coffeehouse. 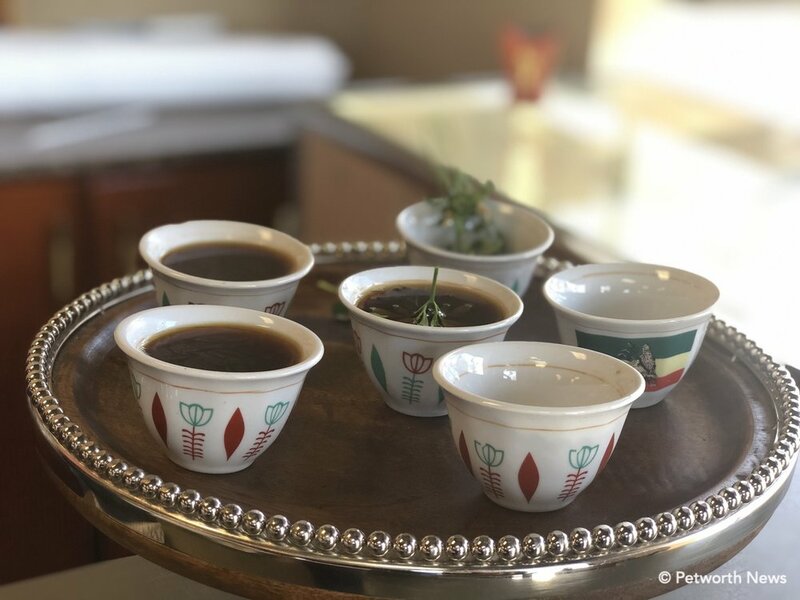 The Ethiopian Coffee service is light, needing no creamer and sweetner (which I normally apply with abandon in any coffee drink), and comes highly recommended. Senaite pouring the Ethiopian Coffee service. 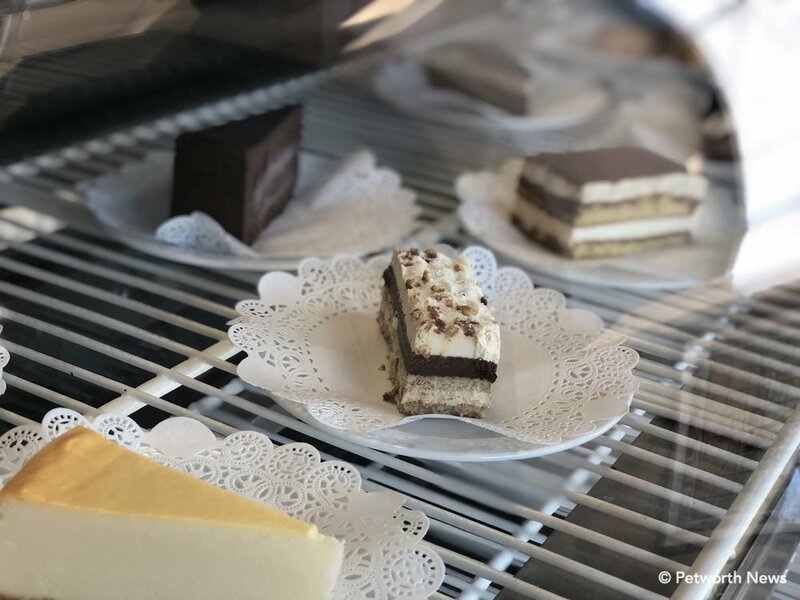 Best way to enjoy that Ethiopian coffee is to come in and order a few of their equally appealing pastries with friends, and hang out and enjoy the service. 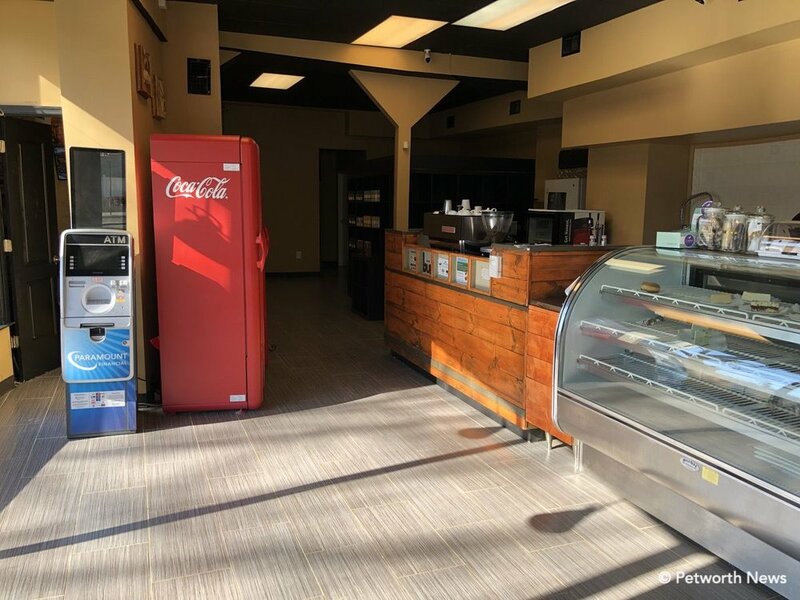 When it comes to the food side, Senaite said that Büna (which is the Amharic word for coffee) will start with breakfast and lunch sandwiches offering options like spinach, waffles and steak, and lunches like pesto chicken and veggie wraps. She said they will soon be adding more Ethiopian vegan dishes and smoothies to the menu. The desserts look very tasty. The outdoor patio seats about 9 people, while indoors will seat around 20. 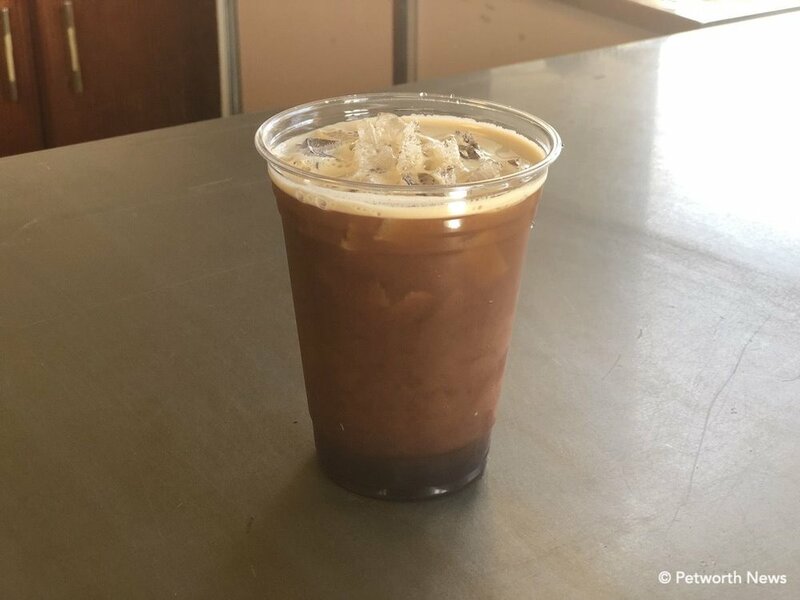 You can come by at 7am to pick up your morning coffee and a bite to eat on the way to work, or an afternoon pick-me-up snack and sandwich. They plan to remain open 7am to 7pm, seven days a week. They’re doing a soft-launch on Friday morning, and will hold a grand opening in a few weeks. Stop by to check them out!